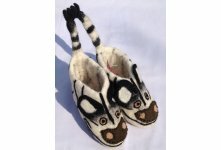 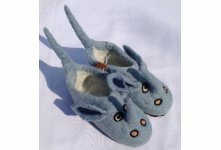 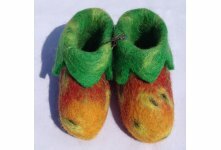 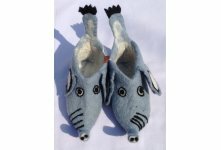 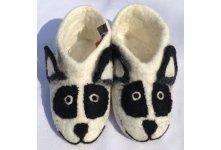 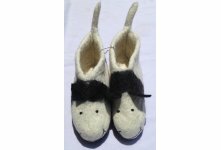 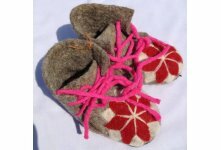 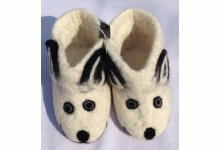 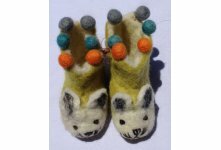 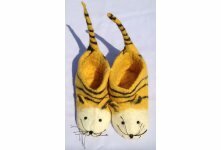 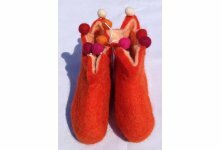 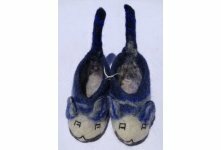 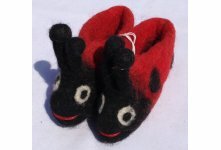 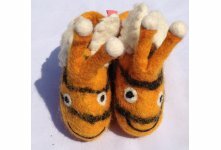 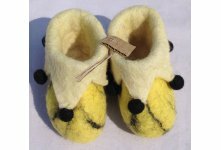 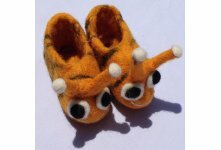 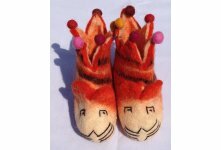 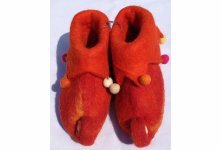 This unique honey bee faced felt shoe is made from New Zealand 100% sheep wool. 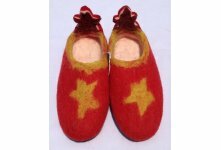 The shoe can be use both indoor and outdoor since it has thick leather sole. 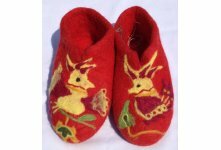 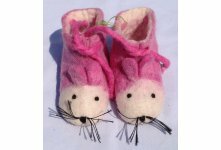 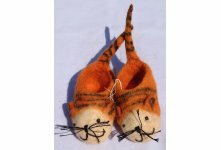 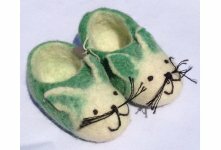 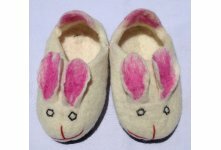 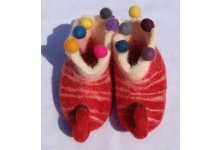 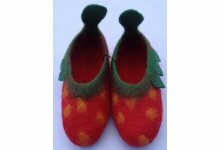 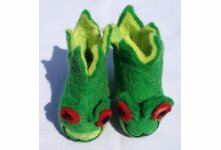 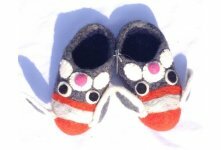 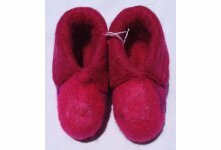 All of our handmade felt products are handmade in Nepal. 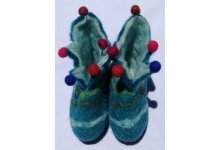 This shoe is available in various size and color combination.